This is the time of year when it is probably time to get back on track and in a healthy eating routine. 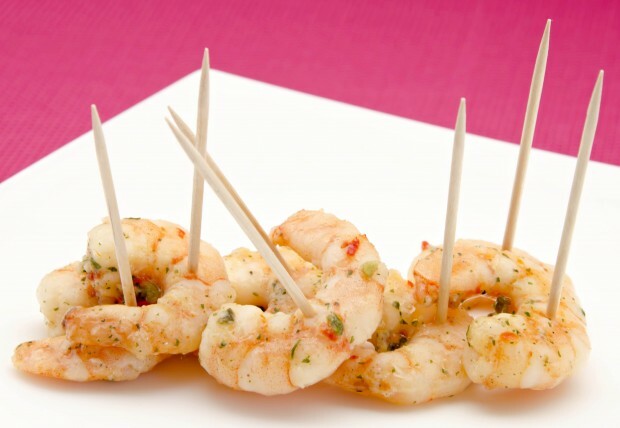 These shrimp are great to have around the house to do just that. Grab them for a quick snack anytime or double up and make them a complete meal. They get some extra added flavor from the herbs and olive oil instead of just a simple boil. 1. In a skillet, heat the oil over medium-high heat. 2. Add the shrimp and herbes de Provence. Season with salt and pepper. 3. Cook until the shrimp are pink and cooked through. It should take about 2 minutes each side.